Jon and Chris Thornham are Canadian Citizens raised in Dartmouth, Nova Scotia. Both Jon and Chris shared an interest in engineering and sports in their youth. In high school, they placed third in the Canadian National Science Fair by designing an apparatus that cast a fly fishing rod. After high school Jon and Chris studied mechanical engineering at the University of New Brunswick. During this time, they became interested in singing and connected with Jeffrey Skouson after many failed attempts to work with other teachers. Shortly thereafter, the brothers moved to Las Vegas to spend a summer studying voice. Jon and Chris also spent time in Los Angeles and Vancouver, British Columbia before graduating from university in 2006. Luckily for them, Las Vegas was booming at the time and they were able to find engineering jobs. It didn’t take long for the brothers to start looking for ways to start their own business. In 2008 they launched a charitable business called Painting with Purpose, which ultimately failed. The failure was a result of their lack of marketing knowledge. Shortly after Painting with Purpose closed its doors, Jon and Chris devoted much of their time to learning how to market before building a new business. 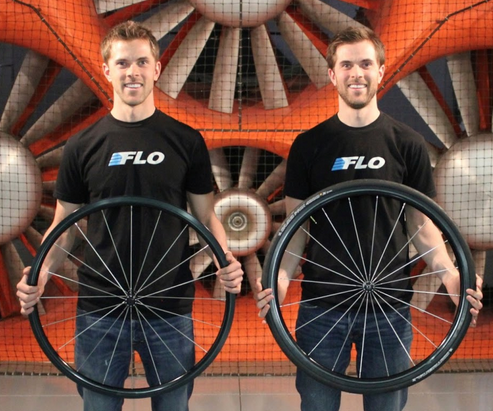 Finally, in 2010, with their new-found marketing knowledge, they began work on their second business: FLO Cycling. Two years later, the company launched their debut sale and sold 750 cycling wheels to 28 countries, generating several hundred thousand dollars revenue in a single hour. FLO Cycling is now 2 years old and has generated just under $3,000,000 in sales, shipping wheels to 46 countries. All of this was done with $0 spent on advertising.